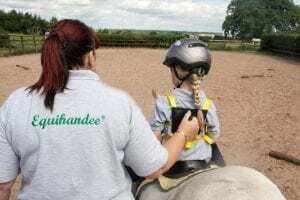 Equihandee was created by myself as I struggled to hold my own daughter safely in the saddle whilst she learnt to horse ride. 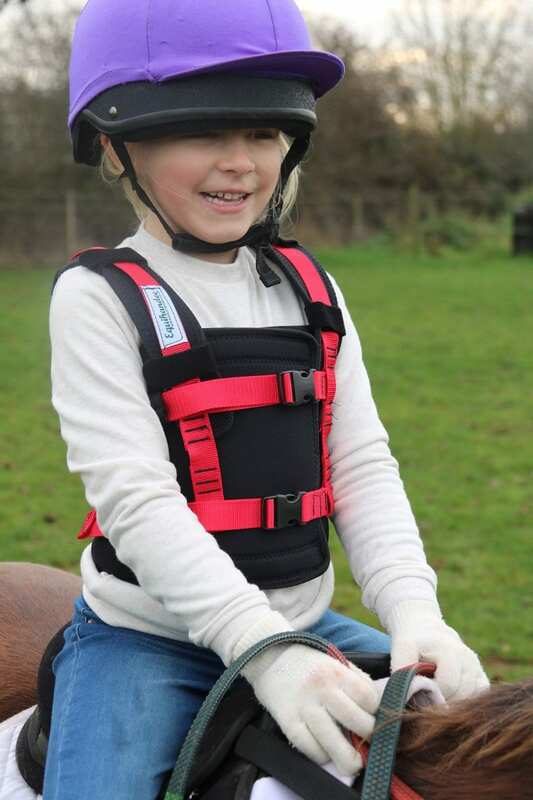 The Equihandee harness is a revolutionary riding aid designed to help instructors and parents keep young/wobbly/disabled riders safely in the saddle, improving their confidence and increasing their enjoyment. Designed and created in the UK, the Equihandee solves an age-old problem for parents of pony- mad children. 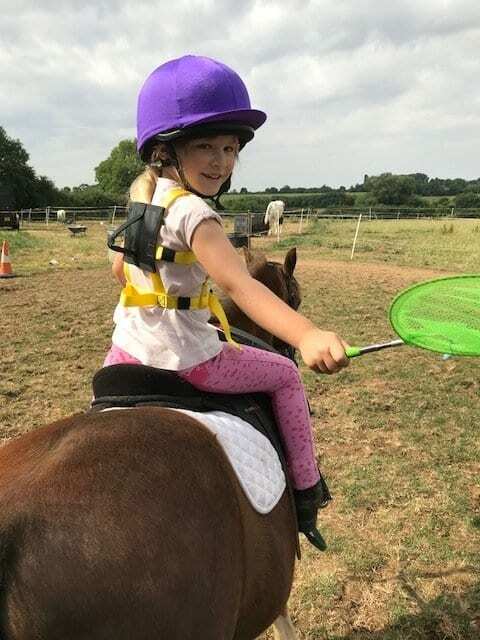 Controlling a sometimes-enthusiastic pony whilst keeping a child safe and upright in the saddle, used to mean grabbing onto the back of the rider’s clothing or holding their thigh, neither of which went down well with the child and would not ensure your child’s safety. 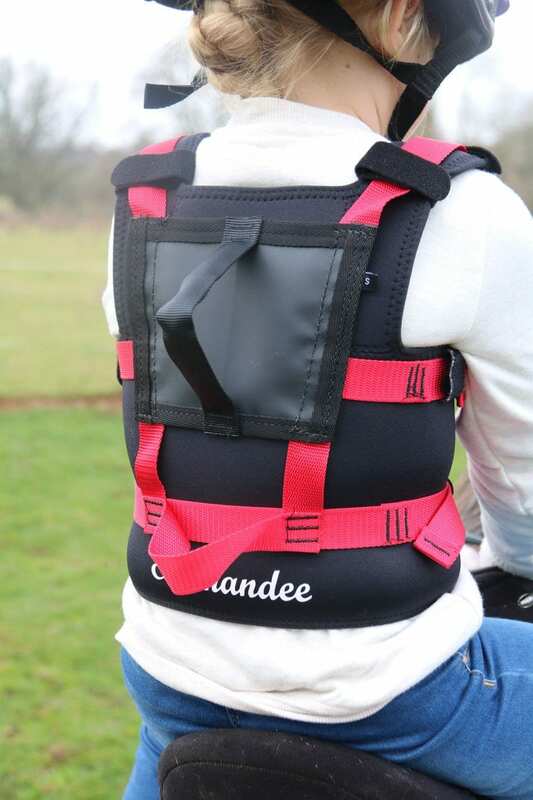 The Equihandee enables the rider to stay safe and stable in the saddle while feeling as though their instructor has ‘let go’ (who remembers the shouts of “let go, I can do it myself!”) helping to build their confidence while also allowing them to find their own balance and seat. This harness also reassures the person leading the pony that they have the child secure and a handle is in reach to hold without interfering with their progress. Equihandee has also helped many disabled children enjoy riding while ensuring they are safe and secure in the saddle. This ingenious tool has quickly become invaluable for both instructor peace of mind and rider safety, as essential for a riding lesson as a body protector or riding helmet. Our second product, the Equihandee Freedom offers the very same freedom of movement and security in the saddle as the original Equihandee harness, but with a soft and comfortable jacket incorporated in the design. The addition of the lightly padded jacket underneath the webbing of the Equihandee Freedom harness has been added to make the product comfortable to wear for riders with sensory needs who may find the pressure and feeling of the straps irritating or distressing. It can also be used by those who would simply like slightly more comfort and warmth whilst wearing their harness – understandable during those chillier months of the year! Both products allow the rider to build core strength, balance and confidence it also ensures complete peace of mind for any parent, instructor or grandparent. Equihandee is manufactured in the UK by a leading UK industrial fall protection harness manufacturer. Equihandee are careful to source only the best quality raw materials which are regularly audited to ensure the quality is maintained across every product made.